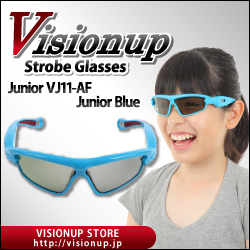 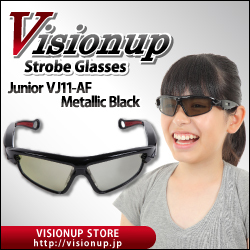 Welcome to the shopping page of Visionup Strobe Glasses! 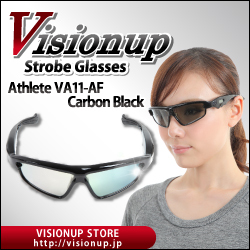 To make your order or find the detail ixplanation of each product, please select your favorite product/color and click “Add to Cart”. 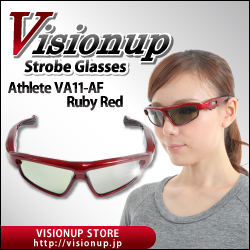 There are two models of Visionup, such as, Visionup Athlete for Adult and Visionup Junior for Ladies/Junior. 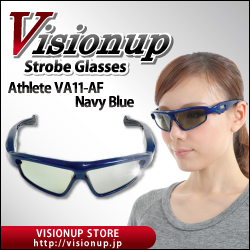 Also there are three colors, such as, Black, Red, and Blue, for each model. The size of Visionup Junior is suitable for slimmer ladies and young athlete (8-15 years old).